Some 200 newly-registered veterinary nurses turned out to collect their scrolls at the inaugural RCVS Veterinary Nurses Day. Held at ZSL London Zoo, the event was also attended by 16 veterinary nurses that had completed their Diploma in Advanced Veterinary Nursing (DipAVN). This is the first time the RCVS has formalised its admission ceremony and the nurses, together with their friends and family, were able to spend part of the day exploring the zoo's grounds. 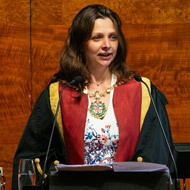 VN Council chair Rachael Marshall, who led the newly-qualified VNs through their declarations, said: “It is my great pleasure and honour to welcome you all here today, celebrating your achievements and taking your declarations to join the RCVS Register of Veterinary Nurses, for those of you who are new to our profession. RCVS president Amanda Boag, who presented each new veterinary nurse with their scroll, added: “It is a huge privilege to stand here before you and be allowed to share in your day. The day culminated in a ceremony for Jan Stevenson, who was celebrating her long service award as a veterinary nurse for 45 years. Jan qualified as a Registered Animal Nursing Auxiliary (or RANA) in 1973, having trained in a mixed practice in Northampton. The day also celebrated the achievements of Brenda Slade, who is now retiring after 47 years in the profession. Brenda trained and qualified as a RANA at the Putney RSPCA Hospital and moved from there to a mixed practice in Torquay. Brenda joined Priory Veterianry Practice in 1994 where she has worked ever since. 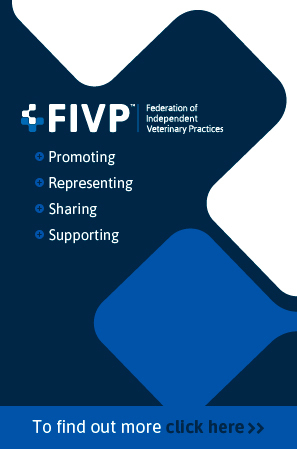 The RCVS hosts two admissions ceremonies each year, the next of which will take place in May and October 2019.